Meet Emerging Leader, Jamie Schwab! 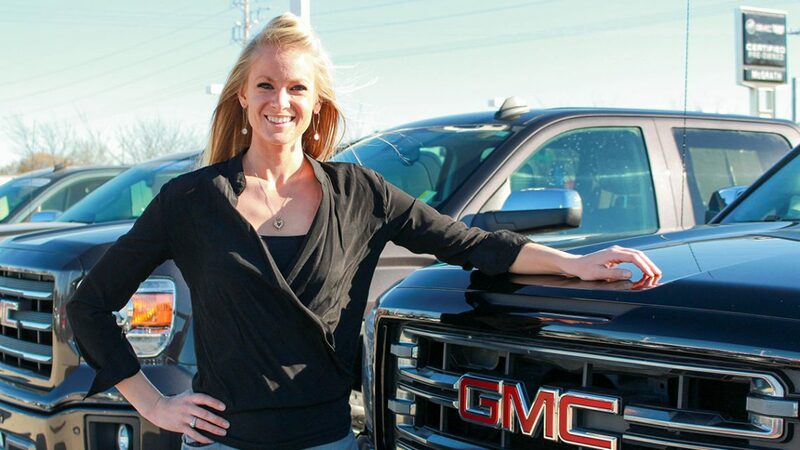 She has been with McGrath Buick GMC Cadillac for two years! She has one sister and brother-in-law who just had their first child, a baby boy named Quinn and she is one proud aunt! She has two dogs who are her world! 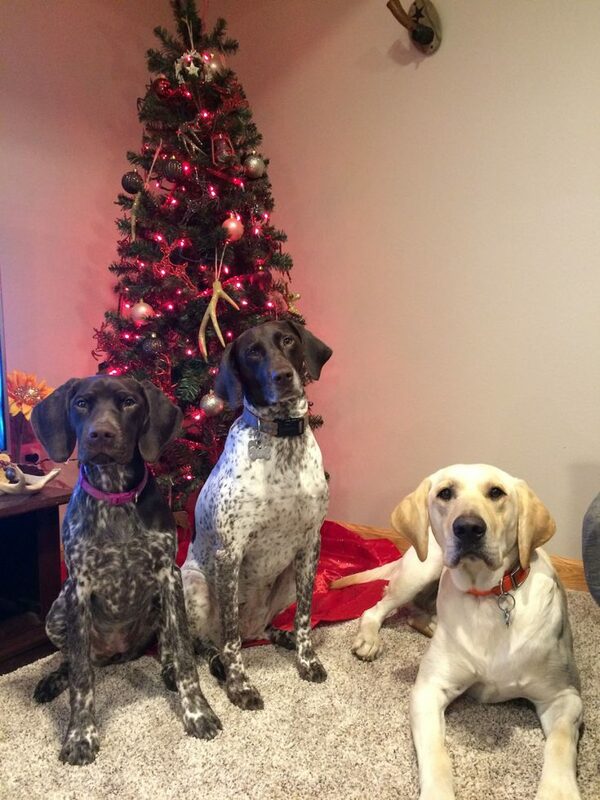 The dogs are both German Short Haired Pointers. The oldest is Remington who is 6, the other is Willow who is almost 4 months old. Her boyfriend also has a year old yellow Lab named Bear who she considers “hers” since they live together. She went to Kirkwood and transferred to Iowa State University to study Kinesiology ATR to become a personal trainer. Wrestling is huge in her family. Her family loves going to Hawkeye football games and wrestling meets. She is from Cedar Rapids and went to Prairie High. When she is not working some of her hobbies include spending time with her boyfriend and their three dogs they have together. They like to take the dogs out hunting, fishing, kayaking, trail walks, biking, boating and to the river to give them a chance to swim! She also participates in Bikini Body Building so they spend a lot of time training and meal prepping during competition season. They also like to shoot. They are very outdoorsy people so pretty much if it involves being outside they will do it! Jamie also loves to do crafts, refurbish or build furniture/decorations, while her poor boyfriend gets dragged into helping her and all of the glitter she put on things. She wanted to become an Emerging Leader because of what she has heard her fellow peers, who have also taken the course, talk about all they have learned, how they are applying it to their work and home life, and the significant positive difference it has made. She looks at it as a significant opportunity to help learn some valuable lessons to apply to life and co-workers to create a positive and successful life. The person who she admires as a leader would be her cousin, Kevin. He is an Army Ranger, which is a huge accomplishment to achieve. The reasons why Kevin is a leader to her are simple. Not only has he taught and lead many of our countries bravest men and women in war, but he has also taught his family valuable lessons as well. He has always taught us to never give up on what we are trying to accomplish no matter how many times you get shoved down. Every time you fail at something, you are one step closer to learning how to succeed and eventually you will. He has taught her so many valuable life lessons and questioned her when she was wrong so she resolved the issue on her own instead of just doing it for her. That to Jamie this is a true leader, those who challenge you and push you to learn new things on your own, but make sure you stay on the right path. Jamie would like to see Brennan Howe participate in the next Emerging Leader group!